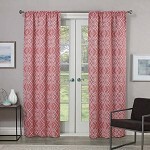 Eclipse Paloma Thermal Panel Pair, Orange, 40" x 95"
Redecorate in a snap with Eclipse Paloma Thermaweave room-darkening window curtain panels! These beautiful panels offer a superior blend of window fashion design and light blocking technology for any decor. 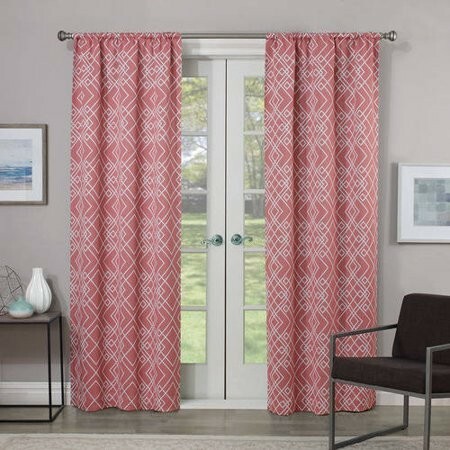 This stylized geometric trellis curtain is woven with energy saving yarns so that the technology blends seamlessly with fashion fabrics!